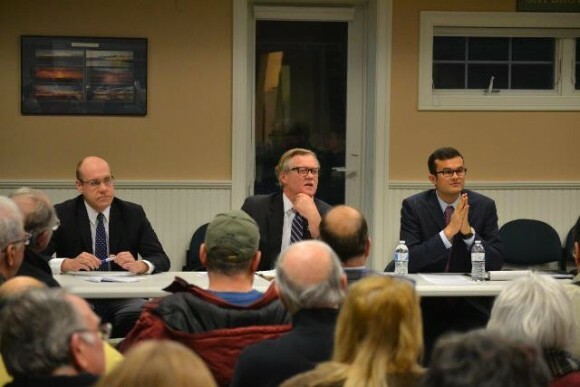 AREAWIDE – Three state legislators, Rep. Devin Carney, Sen. Paul Formica and Sen. Art Linares (shown above, left to right), held open office hours on Jan. 25 at the Saybrook Point Pavilion. The state legislators updated taxpayers on the key issues that will be debated in the 2016 legislative session at the State Capitol. Several area residents turned out for the public meeting to get their questions answered. Those who could not attend may contact Carney at 800-842-1423 and Formica and Linares at 800-842-1421. The legislative session runs through May.